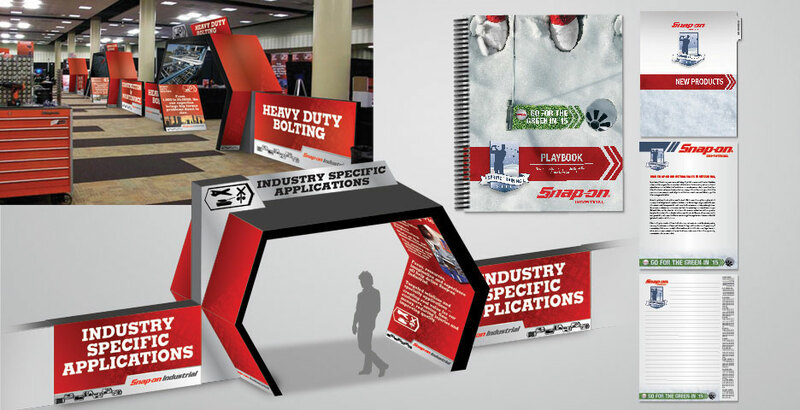 Building on Snap-On Industrial Brands selling strategy, Imagine concepted, designed, and managed their National Sales meeting in a 50,000 sq. ft. facility for several years. This has included nearly 700 individual signs for the showroom product display area, along with a clear new product and service orientation to the sales force, enabling them to present a needs-based solution to customers. For the product and category training areas, we designed a portal concept that reflected the strategy of application selling products and the icons introduced in the catalog.